Iguanodon was only the second dinosaur to be discovered (parts were first found in England in 1809), although the word dinosaur had not even been coined at that time. Iguanodon is now known to be a plant-eating dinosaur that lived during the early Cretaceous period, about 135 to 125 million years ago. It was around 30 feet (9.1 meters) long, and lived around the world: fossils have been found in many countries including Belgium, England, Germany, Mongolia, North Africa, and the USA. When Gideon Mantell first attempted a restoration in the 1820s, he only had very limited information and partial skeletons to work from, and incorrectly thought that Iguanodon's spiked horn was on the animal's snout. However, we now know that a conical horn was in fact attached to the thumb on each hand, and perpendicular to the other fingers. This spike may have been used for defense or for obtaining food. Footprints of Iguanodon have been found preserved in the rocks of southern England, and from these were know the Iguanadon walked upright and travelled in herds. Footprints, but no skeletons as yet (as of the time of writing), have also been found in South America, and in Spitzbergen Island (in the Arctic Circle) which show that Iguanodon must have been very widespread. African Dinosaurs - Iguanodon lived in North America, South America, Europe, Asia, and North Africa. Asian Dinosaurs - Iguanodon lived in North America, South America, Europe, Asia, and North Africa. European Dinosaurs - Iguanodon lived in North America, South America, Europe, Asia, and North Africa. North American Dinosaurs - Iguanodon lived in North America, South America, Europe, Asia, and North Africa. South American Dinosaurs - Iguanodon lived in North America, South America, Europe, Asia, and North Africa. Iguanodon was a genus of dinosaur. "Iguanodon" means "Iguana tooth". It was only the second dinosaur named (the first was Megalosaurus), and its name was chosen by Gideon Mantell in 1825. Iguanodon was a member of the Ornithischia ("bird-hipped") order of dinosaurs. What this means, is that although Iguanodon was not closely related to birds, it did have similarly shaped pelvic bones. Iguanodon lived between about 135 million years ago and 125 million years ago, during the Cretaceous period. Iguanodon was a herbivore (plant-eater). Iguanodon was about 30 feet (9.1 meters) long. Iguanodon weighed about 4 to 5 tons. What if you were the size of a school bus? Well, you'd probably need a new house, for starters! Meet the iguanodon, an herbivore dinosaur who weighed tons―literally! Learn about what life was like for these spiky-thumbed plant-eaters, and become an iguanodon expert with full-color photographs, diagrams, and more. Age-appropriate critical thinking questions make this title a great choice for beginning nonfiction readers. This large herbivore could grow up to 36 feet tall and wandered the Earth during the Cretaceous period, 14 million years ago. 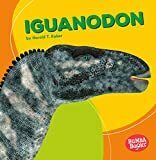 This dramatic book follows a young Iguanodon who was separated from his family after a volcanic eruption. Danger and excitement meet this juvenile dinosaur at every turn as he tries to reunite with his family. Spectacular graphics and engaging text tell the story of the young Iguanodon’s journey. Fossil evidence and dinosaur facts accompany the story and show young readers the reality behind this thrilling narrative. Explores what scientists have uncovered about Iguanodon. Colorful photos and illustrations help bring each dinosaur to life as easy-to-read text guides readers through important discoveries about its appearance, diet, and habitat. ¡Conoce al iguanodon, un dinosaurio herbívoro que pesaba toneladas literalmente! 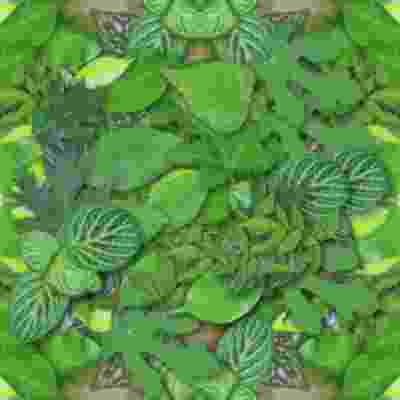 Las imágenes coloridas ayudan a los lectores a aprender cómo era la vida para estos comedores de plantas de punta. Meet the iguanodon, an herbivore dinosaur who weighed tons—literally! 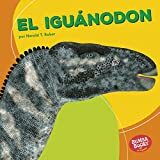 Now in Spanish, carefully leveled text and colorful images help readers learn what life was like for these spiky-thumbed plant-eaters. CollectA's detailed replica of the Iguanodon is lifelike down to the wrinkles in its hide and its bony skull. Since it was first described in 1825, the Iguanodon has been classified and reclassified, as scientists have learned more from studying fossils. 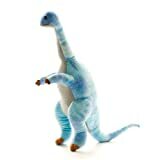 Paleontologists now believe the Iguanodon could walk on all fours and on its hind legs, as shown here. The creature's head resembles that of today's iguana, which is how it got its name. It may have grown to be 43 feet long. This beautifully sculpted, collectible figure from our Prehistoric Life Collection measures 6.3''L x 3.5''H. Each prehistoric figure in our collection has been approved by archeologist Anthony Beeson, a well-respected expert in paleoimagery. All CollectA models are individually hand crafted to the highest standards and made with the finest and safest phthalate-free, lead-free materials. Create a natural world in miniature with high quality toy replicas from CollectA. Our mission is to educate collectors and to provide the greatest opportunity for creative play. 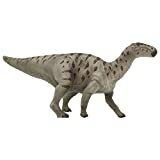 Iguanodon prehistoric life figure is approx. 11 inches long and 4.5 inches in height. Named in 1825, Iguanodon was only the second dinosaur to be formally recognized by science. Large accumulations of skeletons have been discovered in Belgium and other areas of Europe, suggesting that Iguanodons roamed in herds. This bulky herbivores had a long snout ending in a broad, toothless beak, which it used for cropping leaves. 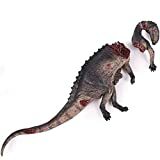 The Safari Ltd Carnegie Scale Model Iguanodon measures 6.9"L x 2.4"W x 4.9"H.
SAFARI LTD: All of our Safari Ltd Toys That Teach are great tools for developing minds. They're perfect for Imaginative Play and Group Play to help children learn and play creatively together. You can bring our toys virtually anywhere: the backyard sandbox, the beach, even a long car ride is a perfect place for Safari Ltd to help keep kids interested in playing while learning at the same time. Ships from Hong Kong. Whether for your own little one, to give as a gift, or to keep yourself, Plush Toy is always the perfect choice for plush animal friends. Size: 23.5''Pick one for your kids little companion.